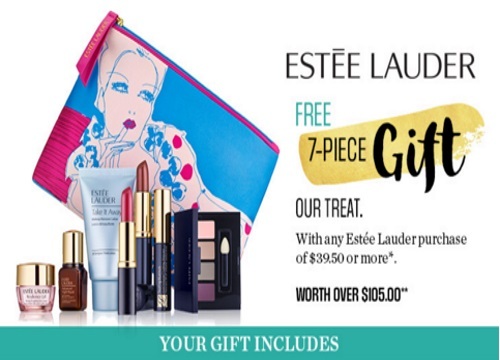 Sears has an Estee Lauder Free Gift With Purchase on now! Get this exclusive 7 piece gift free with any Estee Lauder purchase of $39.50 or more. Gift is valued at over $105. Limit one 7 piece gift per customer, while quantities last. Customer will receive one of the two lipstick options, based on availability. Offer available from March 30 to April 17, 2016. Click here to browse Estee Lauder at Sears online.